The obvious answer to the question: “if a Marion County prospective buyer has one focus at the top of their mind—what would that be?” … is interest rates, of course, because it has everything to do with their entire decision-making during the buying process. When financial decisions are in limbo—for a lack-of-knowledge—it causes an anxiety-producing conflict, which has the potential to affect a buyer’s dedication. Most buyers know their credit score. They calculate their ability to commit to a static down payment before they begin to look at a property. Moreover, prospective buyers are aware that the bank will ask this question when they enter the pre-qualifying process. Recent changes in the mortgage industry are variable and almost imperceptible going forward, even to the pundits—albeit we take what “they say” with a grain of salt! 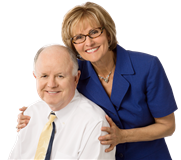 Professional Realtors® like The Shultz Team are sympathetic to the plight of their buyers. When it comes to making the process level—without surprises—they are designers. Excluding misunderstandings is the aim. Still, when it pertains to interest rates in today’s climate—it is not always possible. Marion County existing home inventories are low right now, pushing the price per square foot higher and making it a great time to list your home. In addition, the Home Builder Consumer Confidence Index is still at last month’s level. Listed at 72 this week, it is a good sign for buyers who are looking to build a new home. Want to Do it Yourself ? If you are a prospective buyer, and you want to monitor possible mortgage fixed rate interest, you can Google the 10-year Treasury (T-Bill) Bond rate for this week. You will discover that the resulting rise and fall of percentage points will coincide with most mortgage fixed-rates. For example, this past week of February 11, 2018, the 10-year T-Bill yield is running at 2.873 percent on Friday, and the fifteen-year fixed-rate last week was 3.75 percent. In contrast, the 10-year T-Bill yield was 2.37 at the beginning of July 2017 and the fifteen-year fixed-rate mortgage rate for the same period was 3.22percent. Because the economy is flourishing, bond yields are rising; therefore, mortgage rates are rising. It works in tandem. So, now is the time to buy—before the interest rates go higher, which they will do as the economy continues to thrive. The cost of borrowing right now is actually the best it is going to be for the foreseeable future. On a $200k priced home, with a 20 percent down payment and a FICO score of 740 or above, today’s fixed rate for a fifteen-year loan would be an annual percentage rate (APR) of between 3.66 and 3.75 percent depending on your credit rating. If you have an interest in learning about all the information you will need in order to begin the process of buying the best property, for the best price, at the best interest rate—call the best Realtor®. 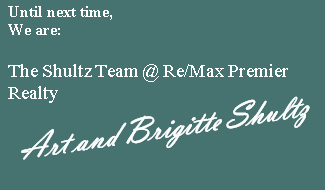 Call The Shultz Team at 352-875-3897 or check back with us to read our next blog post. Don’t let any grass grow under your feet!